Our robot, Sir LanceBot, is designed to place cubes on the switch and in the vault. 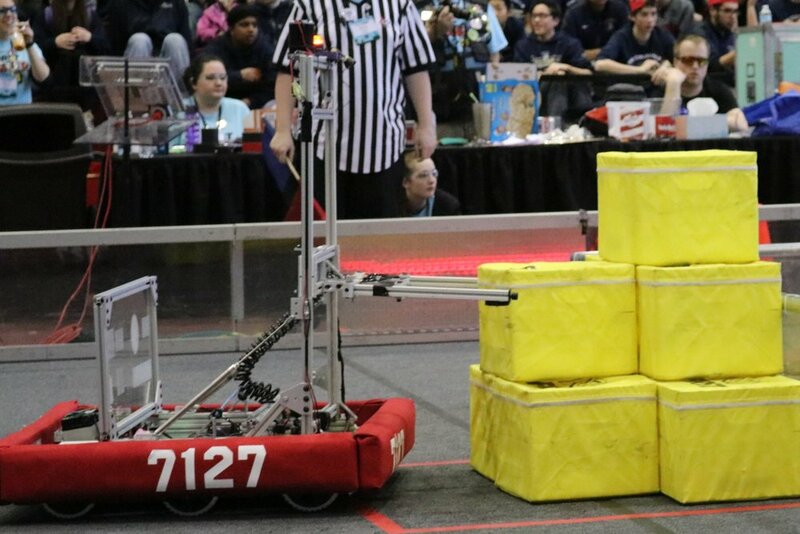 We deemed the tasks of tackling the scale and climbing to be to difficult for a rookie team and decided instead to be as effective as possible in controlling the switch and earning power ups for our alliance. Once we have control of our own switch, we will be able to go to the other side of the field and take ownership of the other alliance’s switch using power cubes from the portals located near the other team’s alliance station. Additionally, we plan to deliver power cubes to the vault to activate the levitate power up because our robot cannot climb.